I want to make a very simple point with this post: Keep the eyes simple. Downplay detail in them. Soften edges if you can. I'll start with one of the greatest portrait painters of all time: Anthony Van Dyck. The eye of this old man looks complete, but note that the pupil doesn't have a hard edge, there are no individual eyelashes. The eyebrows aren't drawn as a bunch of separate hairs either. The only part that's really crisp are the highlights, and they're more prominent in the lower lid and the lacrimal caruncula (the little watery pit on the inside corner of the eye). 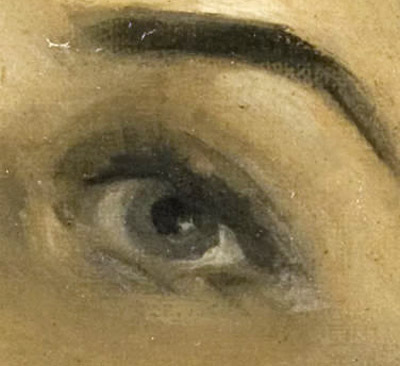 In this woman's eye by Andrew Loomis, the pupil is sharper, but the iris is softened on the left side, and the eyelashes and eyebrows are softened and unified. He chooses to downplay the caruncula and the fold over the eye. In this detail of a portrait by John Singer Sargent (click to enlarge) both eyes are greatly softened. There are some crisp edges, but look where he places them. They mainly occur in the structural forms surrounding the eye, not details within the eye itself, such as the iris, pupil or little hairs. Sargent spent as much time preparing the structure around the eye as he did painting the eye itself. He compared the process of painting an eye in its socket to dropping a poached egg on a plate. 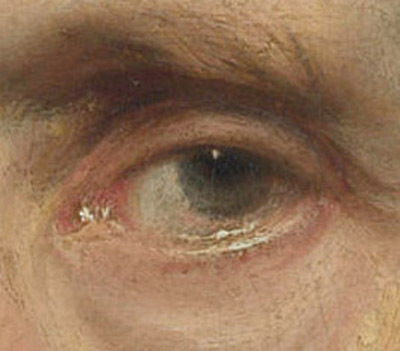 The subtle movement of muscles around the eye is what conveys the character of expression, perhaps even more the particular details within the eye. It's similar with the mouth area. My drawing teacher once said: "draw the area around the form accurately, and you will have your form accurately"
Nice post Jim. I'll try to remember that when I do portraits in the future. Thank you for the advise. I think it makes a great difference! This is a very good point you have here. I remember someone mentioning that the reason sketches look more appealing to us is that the mind fills in the missing details in a way more favourable than detailed rendering would. I guess this is what applies here: softening the edges in the eyes suggests expression through impression, making the viewer search for it - and be more captivated in the process. Excellent! Thanks for the reminder, helps to keep them more dynamic. 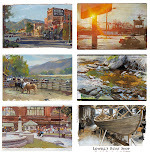 I just love Sargent! Even her hair in that image is spell binding. It's like he loaded up his brush and did each curl in one brush stroke. I Saw a bunch of Sargent paintings yesterday at the Art Institute of Chicago with my son, so this was a very timely post for me. 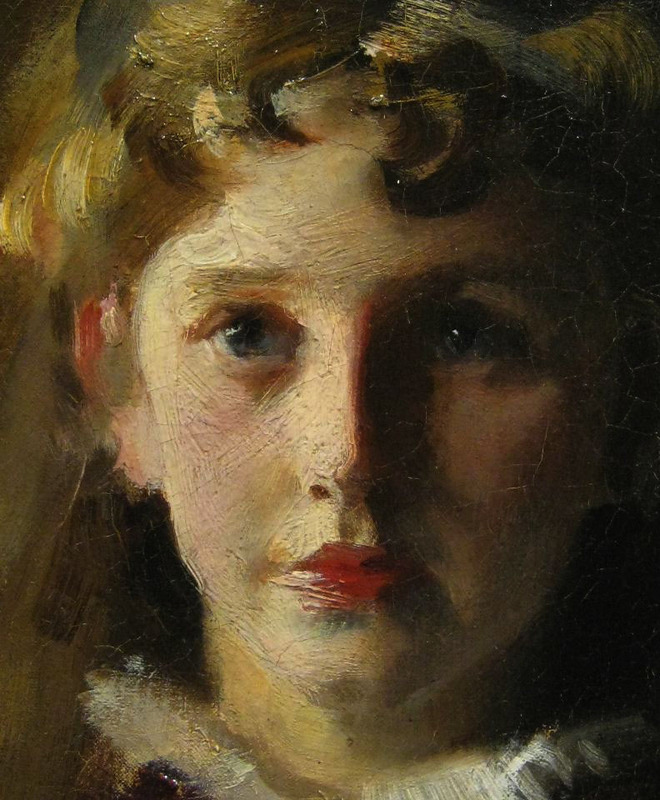 How does the old artist's tale go...Sargent struggled for about a decade without being any good at painting, but then he turned 12 years old. A very useful post! I need to be reminded about things like this. Thanks! I don't really get the part about: " He compared the process of painting an eye in its socket to dropping a poached egg on a plate."? How so? 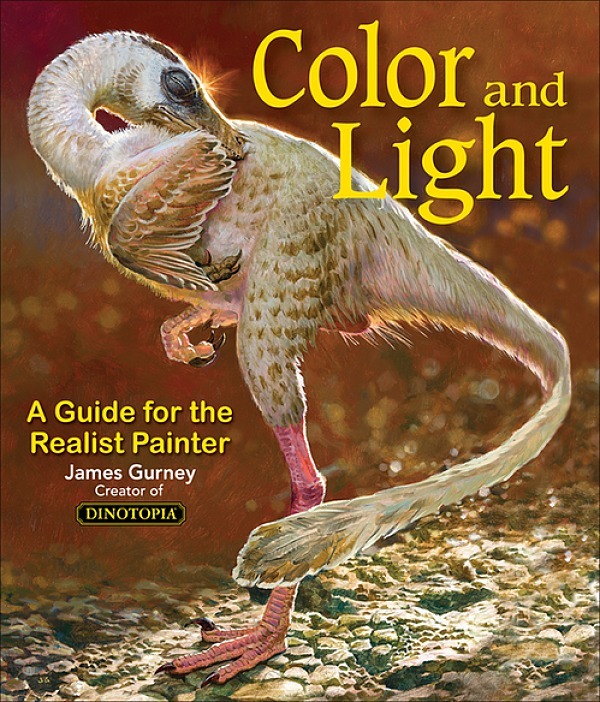 James, I think Sargent's idea is that you need to create the setting for the eye first. That's really the socket in the skull and the fleshy forms of the brow and nose and cheek. Then the eye, which seems like a delicate liquid thing, fits into that space. These forms can't be overworked, and if it doesn't set in right, it has to be rubbed out and started over. Which Sargent did. Often. Until he hot it right.